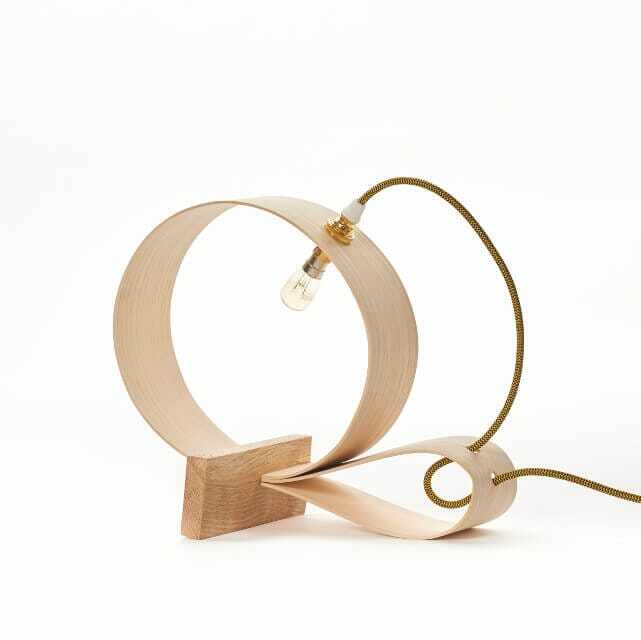 This simple circle of light shows off the Art of steam bending wood beautifully. 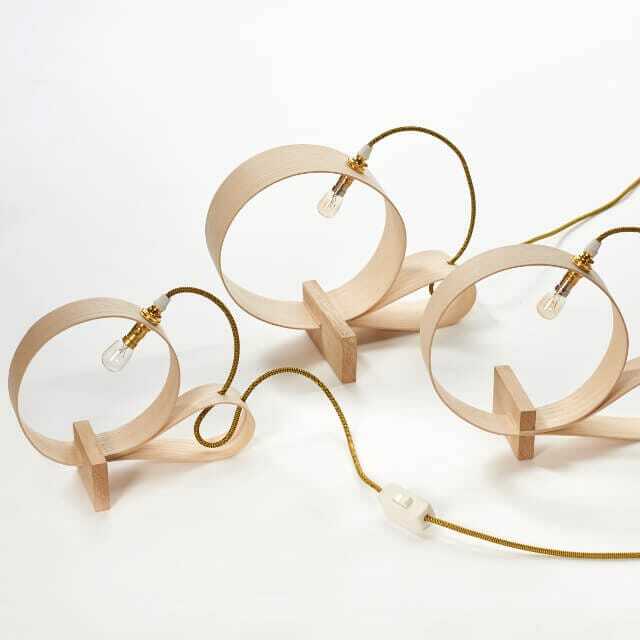 This minimal table lamp carefully reflects the simple continuous form of the properties of a circle. Constructed using one single piece of wood, the ash is carefully steam bent by hand to create its form which slips beautifully into a solid oak base. Cleverly no screws or glue are used in its construction complimenting its minimalist attraction. Presented with a quality brass fitting, black and gold herringbone silk braided cord this functional lamp is a delightful addition to any table. Ash with an oak base, quality brass fitting and silk braided herringbone cord.